Caution: Work in progress! 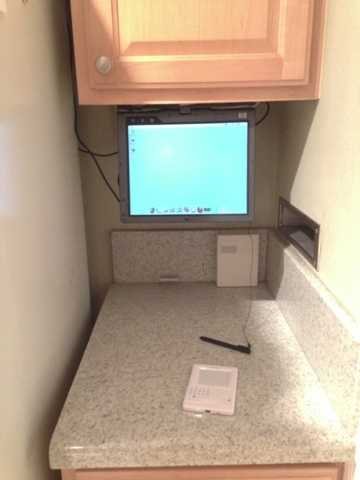 I'm repurposing an old tablet PC as an under-cabinet kitchen PC. Hopefully when it's done, it will be the brains behind a home brew poor man's whole house audio system a la Sonos. When it's more mature, I'll do a bigger post with links.